COMMENTARY – One conference win will not a conference champion make, but it is certainly a good start. More than half the Pac-12 has already dropped a conference game, but not the Utes. 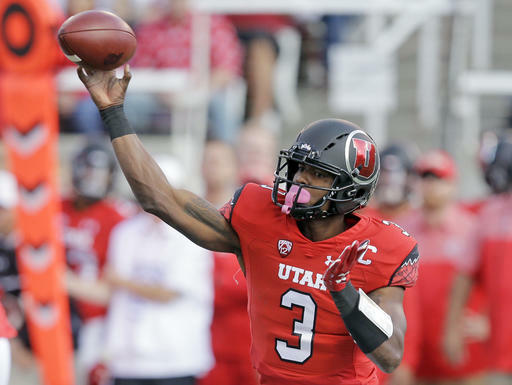 Only four Pac-12 teams are nationally-ranked, and Utah is one of them, checking in at No. 20 in the AP Poll and No. 19 in the Coaches Poll. That’s pretty hard to complain about, but some people will still find a way to do so. Just to be clear, there is still a lot of room for improvement. But there can be no dispute that there is already a lot to like about the Utes. In the three non-conference games, Utah’s defense dominated opposing teams, on average holding them to only 246 yards of total offense and a mere 49 yards rushing. On the other side of the ball, the Utes averaged 477 yards of total offense with a much more balanced running and passing game than we have seen in years. As expected, there was a dramatic increase in competition once Utah started Pac-12 play. Arizona racked up 448 yards of total offense, including 200 yards rushing (52 yards more than the Utes’ first three opponents combined). In contrast, Utah only managed 341 yards of total offense. Penalties uncharacteristically continue to plague the Utes in conference play. This has been a topic of discussion since game one, and will remain so until the problem is fixed. The sheer number of penalties is stunning — nine against Arizona for 83 yards – at an average of more than nine penalties per game. However, the timing of the penalties has been problematic as well by extending drives and ultimately providing scoring opportunities when the defense had otherwise held firm, especially against the Wildcats last Saturday. When all was said and done, the defense rose to the occasion and sealed the win by ending Arizona’s last two drives with turnovers (a fumble recovery and an interception). How fans feel about last Saturday’s game says more about the fans than it does the team. Pessimistic cup-half-empty fans point to the myriad of mistakes made by Utah and firmly maintain that those mistakes will translate into losses as the schedule doesn’t get any easier from this point on. Optimistic cup-half-full fans are encouraged by the fact that the Utes still found a way to win even after being bested in offensive production and notwithstanding the pile of penalties, with the promise of even better performances by Utah once the deficiencies are corrected. Whittingham is never satisfied, and recognizes that the Utes still have a number of things to work on during the upcoming bye week. Nevertheless, he too has been pleased by many aspects of Utah’s play thus far. One of the biggest question marks heading into the bye week is which quarterback will be under center when the Utes resume play at home against Stanford on Oct. 7? Sophomore Tyler Huntley beat out senior and returning starter Troy Williams for the starting job in fall camp. However, Huntley left the Arizona game with what appeared to be a shoulder injury early in the second quarter. Williams finished the game while Huntley sat on the bench with his arm in a sling. The good news is that Utah’s backup quarterback is a team captain who won nine games for the Utes as a starter last year. What a luxury it is to have such a backup to step in! Huntley winning the starting job in fall camp is a big deal. If Williams had maintained his job as a starter and then gotten hurt against Arizona, there would still be a lot of unanswered questions about Huntley’s ability to step in and run the offense. Now, those questions have already been answered — about both Huntley and Williams. Whoever starts against Stanford will be battle-tested and more than capable of running the offense. The upcoming bye week comes at an opportune time for Utah. It provides much-needed time for Huntley and other banged up players to heal. It also gives the coaches a chance to correct the deficiencies that have emerged in the early games in time to be ready for a rigorous Pac-12 schedule. Here’s hoping Huntley heals in a hurry and the Utes otherwise make the most of their bye week.